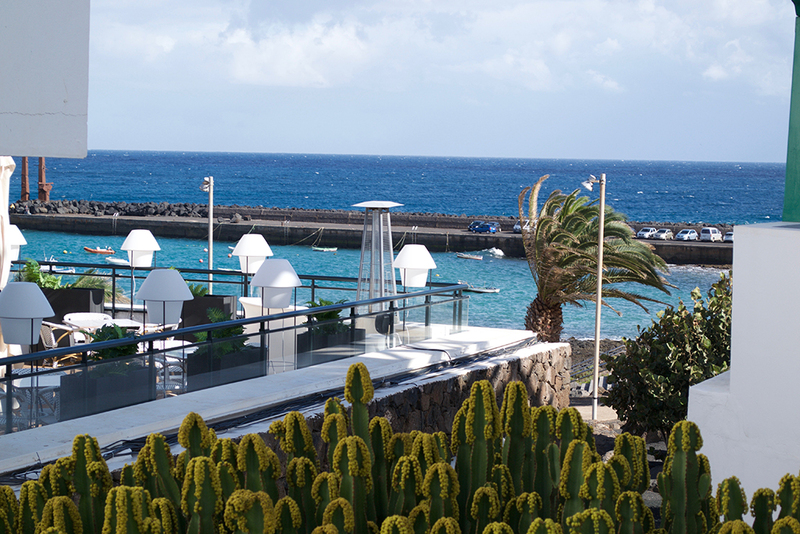 When you hear the word ‘Lanzarote’, what comes to mind? As a kid, this word had some sort of mystical element to it – where is this island that everyone keeps jetting off to? Over the years I grew more and more obsessed with someday visiting the island for myself, especially once I read it was just off the coast of Africa and was home to hundreds of volcanoes. To my 10-year-old self (and, wait, who am I kidding, to my 26-year-old self too), this was the dream. Then guess what? 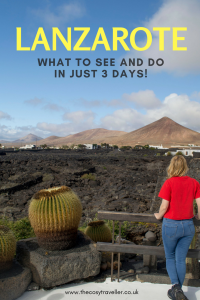 An invite from Jet2 Holidays landed in my inbox shortly before Christmas, inviting me to Lanzarote so that I could see the Canary Island for myself for the very first time. 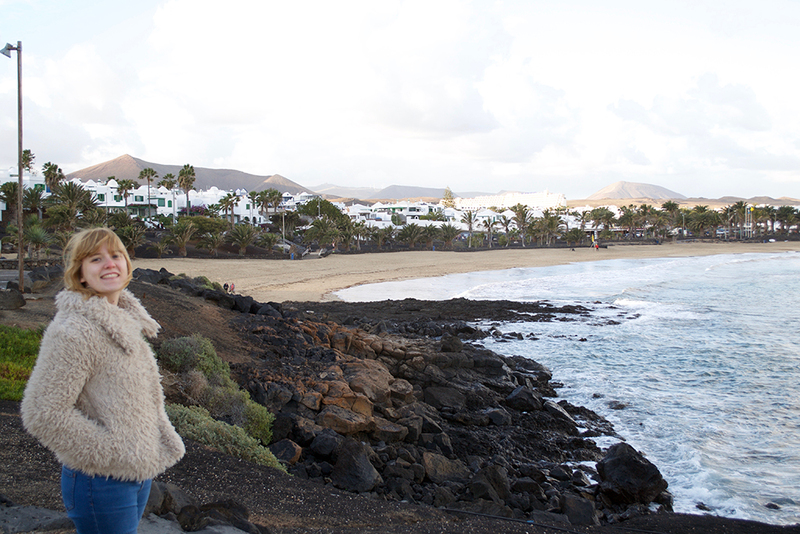 And now, having experienced 72 hours in Lanzarote, I completely get why so many people go back again and again. It’s family friendly, has pretty reliably sunny weather all year round, and it’s got some of the most breathtaking landscapes I’ve ever seen. It’s also a fabulously small island – you can drive from top to bottom in an hour or so – meaning it’s so easy to get the most out of it in just a few short days, no matter where you stay. 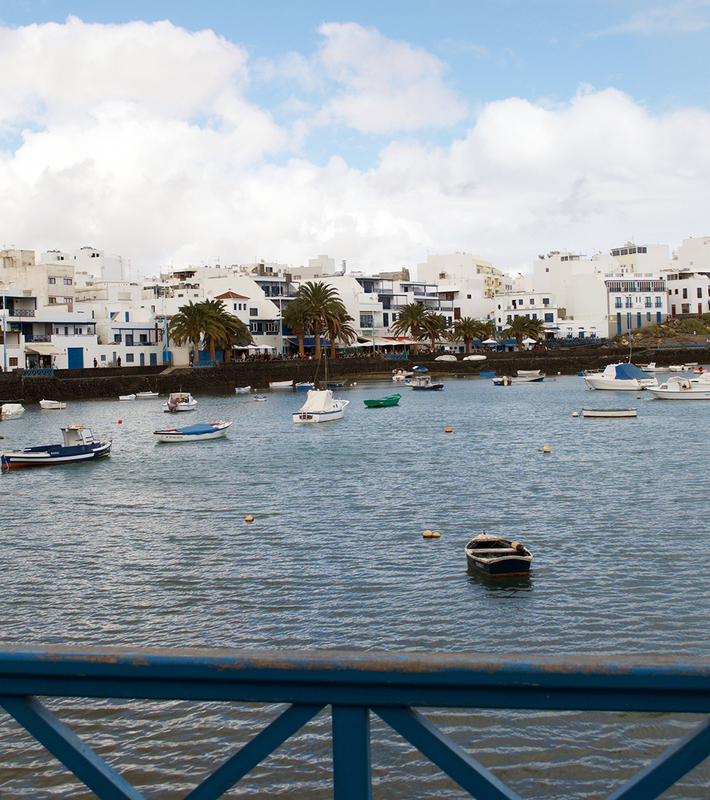 While the resorts of Lanzarote offer everything you could need for a relaxing few days in the sun, I would definitely recommend exploring more of the wider area. After all, there’s heaps of culture, thrills, and nature all virtually on your doorstep. 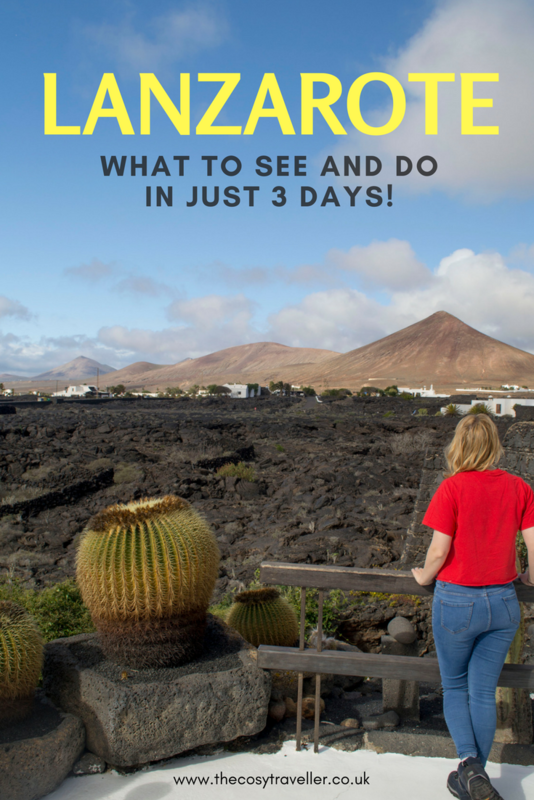 Here’s what I got up to in my 72 hours in Lanzarote to give you an idea of just how much there is to keep you busy! Jet2 flies to Lanzarote from a number of UK airports: Belfast, Birmingham, East Midlands, Edinburgh, Glasgow, Leeds Bradford, London Stansted, Manchester and Newcastle, to be exact (and alphabetical). 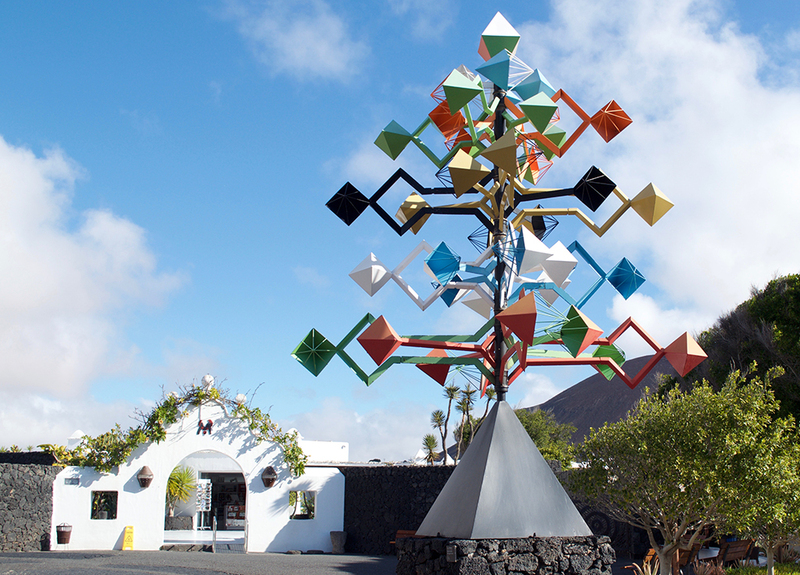 Ian and I hopped on the 9:15am flight from London Stansted, which got us to Arrecife – the capital of Lanzarote – for around 1:25pm. (Heads up: theres no time difference between the UK and Lanzarote, hurrah!) As far as flights go, this was probably one of the most enjoyable I’ve actually ever had. With music loudly playing as we boarded, the holiday vibe was soon in full swing. I think the fact I also opted to pay more for a seat with extra legroom definitely helped too! After collecting our hold luggage at Arrecife airport, we met with a Jet2 representative in departures who told us where to go to catch our transfer coach to our hotel. Our hotel was the 7th in a list of 8, but it still only took us less than half an hour to get there, such is the small size of the island. 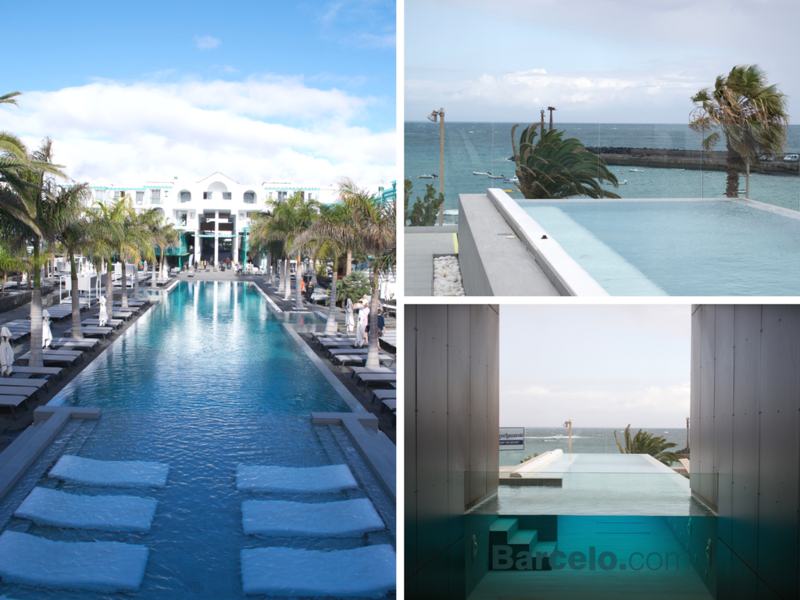 While we were spoilt for choice when it came to choosing a hotel to stay at, when we saw Barceló Teguise Beach in Costa Teguise, we knew it was the one for us. It’s a 4* star, adults only hotel with a huge outdoor swimming pool, a spa, an infinity pool and multiple bars and restaurants. It’s also right on top of the beach, which is always my #1 priority when staying somewhere warm. Our room was definitely my favourite bit about the entire hotel though. Why? We only had a massive friction’ hot tub in our room, right next to our bed! The room was enormous too, with plenty of space for our luggage, as well as a separate toilet and shower. Plus the balcony with a partial sea view was glorious for sunrise-spotting in the mornings! 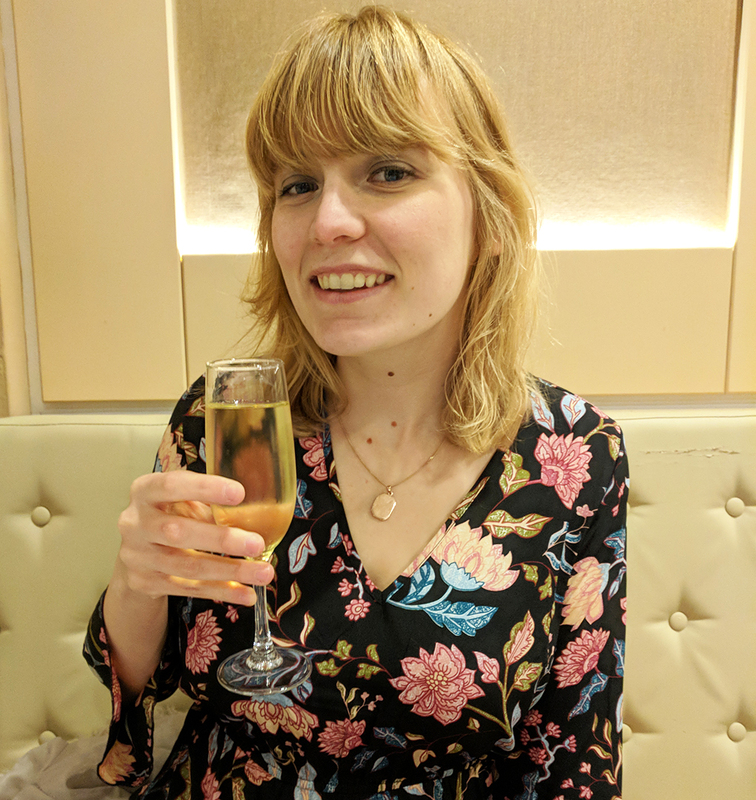 We checked in (picked up a complimentary glass of Champagne on the way, because #holiday), plonked our luggage down, and headed out to explore the local area. Our first stop was the beach right outside our hotel. At around 16°C, it was a little too cold to persuade me to have a go at some of the local water sports, so we stuck to the sightseeing instead. The beach itself was unlike anywhere I’d ever seen before; it had the sea, and it had the sand, but that’s where the similarities ended. With volcanic hills rising up in the distance and cacti (cactuses?) lining the road, the scenery was striking as the Golden Hour approached. There was also a cat, who was great. 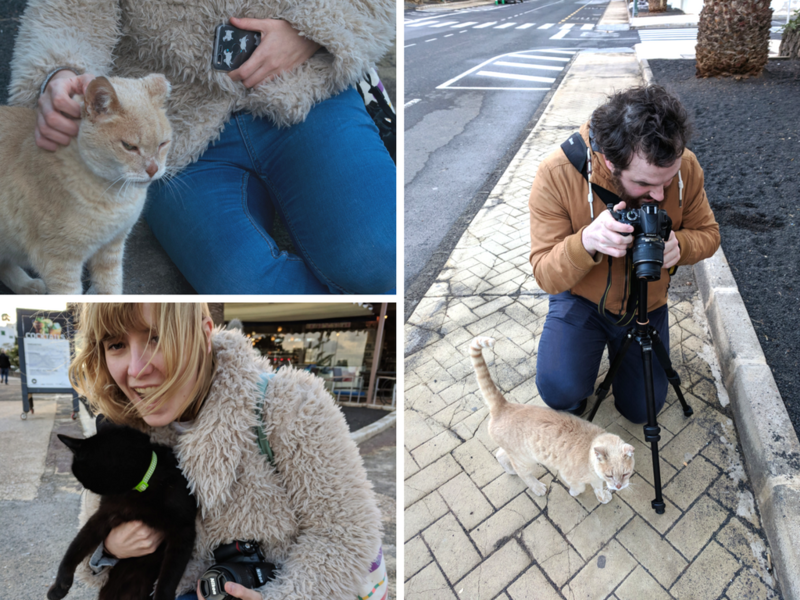 And then we sort of got a little bit sidetracked from all that scenery because we found a couple of other cats down another road. 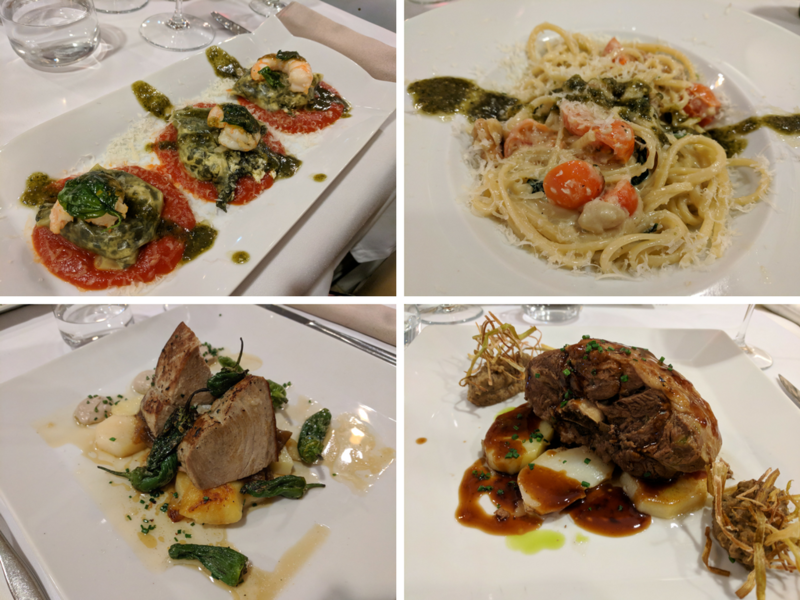 For dinner we fancied tucking into some authentic Spanish cuisine, so headed to Galeon Restaurant which was located just around the corner from our hotel. Got to say, despite the promising reviews on TripAdvisor, we were a little disappointed with our meals. Part of the reason why I chose this restaurant is because it was one of the only restaurants that offered a vegetable paella – yes, I’m the awkward vegetarian in this relationship – but I found it a little bland. 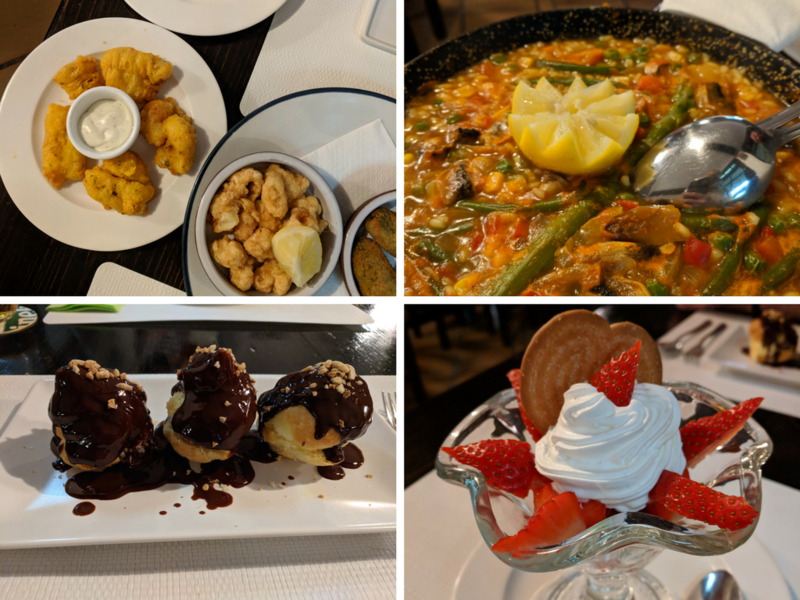 And Ian opted for several tapas dishes, but ended up with just several small dishes of fried food, like cheese and calamari. The desserts were much better, thankfully: homemade profiteroles for Ian, and strawberries and cream for me. 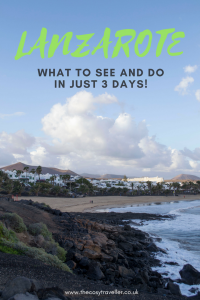 For our only full day in Lanzarote, we had a coach trip planned so that we could see as much of the island as possible. 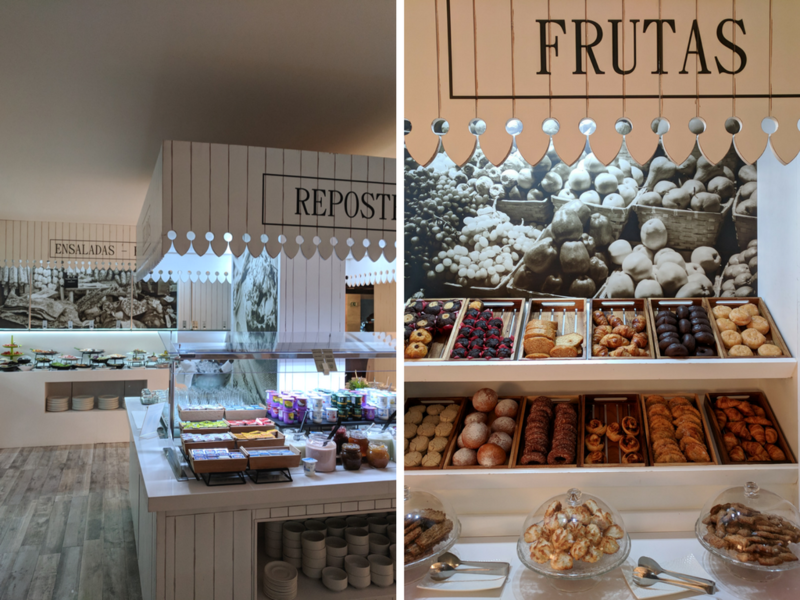 But before that, it was time for a buffet breakfast at the hotel! And, man, what a buffet breakfast. There was everything: pastries, ham, cheese, sausages, cereals, rolls, toast. Even Champagne! We wolfed as much as we could down to keep us going for the day, and then raced around to the bus stop to pick up our coach. 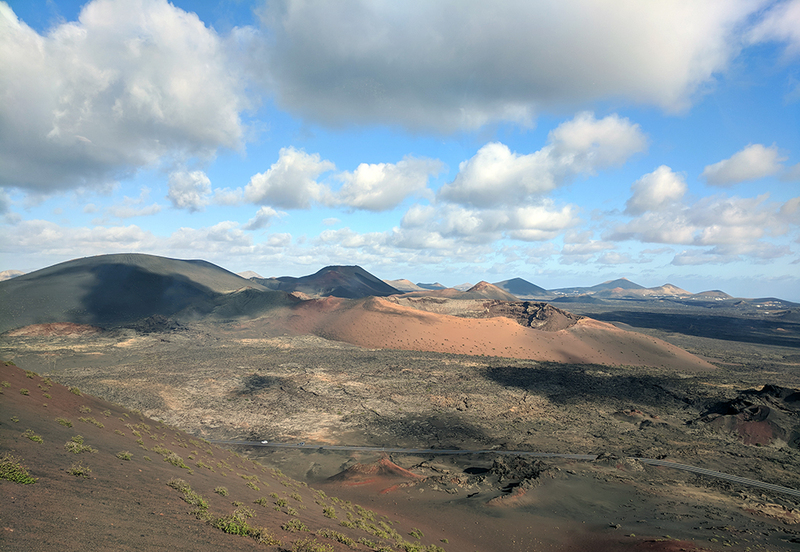 Our tour of Southern Lanzarote with Tourist Ticket took in all the main sights of the island; first up was a stop at El Golfo, a lake that’s turned green thanks to an abundance of algae, minerals and micro-organisms. 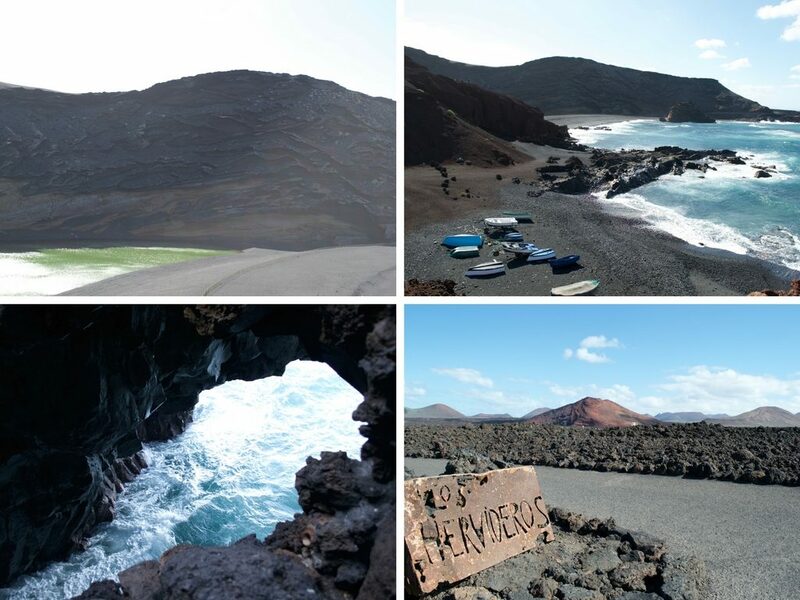 Further stops allowed us to explore Los Hervideros, an area made up of jagged cliffs, underwater caves and marine coves, as well as the family-operated winery at La Geria for some tastings. There was also a stop for an optional camel ride (€6 per person). As much as I loved how much the itinerary allowed you to see in a short space of time, I did feel very rushed at each stop, and would have loved to have received more information about the places we were seeing, rather than just being told to “get off the coach and have a wander.” If you can drive, I’d definitely recommend renting a car on the island and seeing things at your own pace. 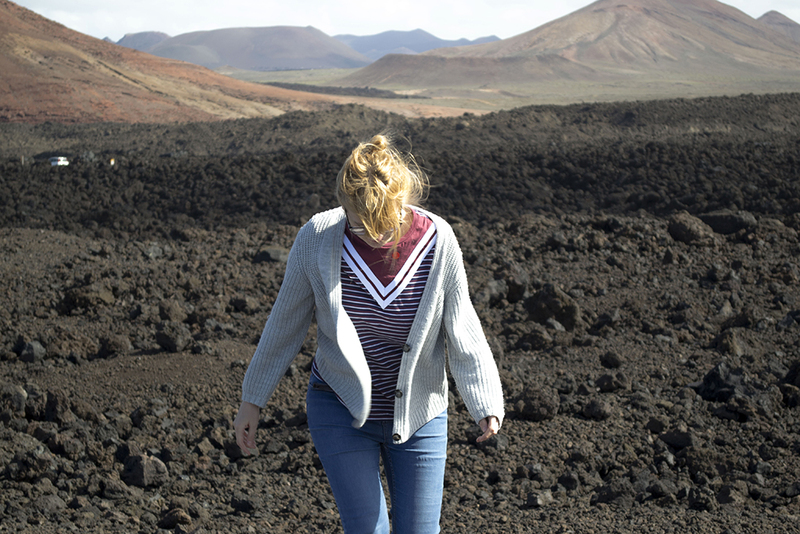 Alternatively, just opt for a tour to Timanfaya National Park. This was easily the best part of the entire trip, and also the one thing I was super excited about. The National Park earned its nickname of the ‘Fire Mountains’ after a volcanic catastrophe which happened just over 250 years ago. With its volcanic peaks, craters and rich iron colour, it’s almost like you’ve landed on another planet – a fact which hasn’t escaped various movie and TV directors over the years. Everything from Doctor Who to Journey to the Centre of the Earth has been filmed here! 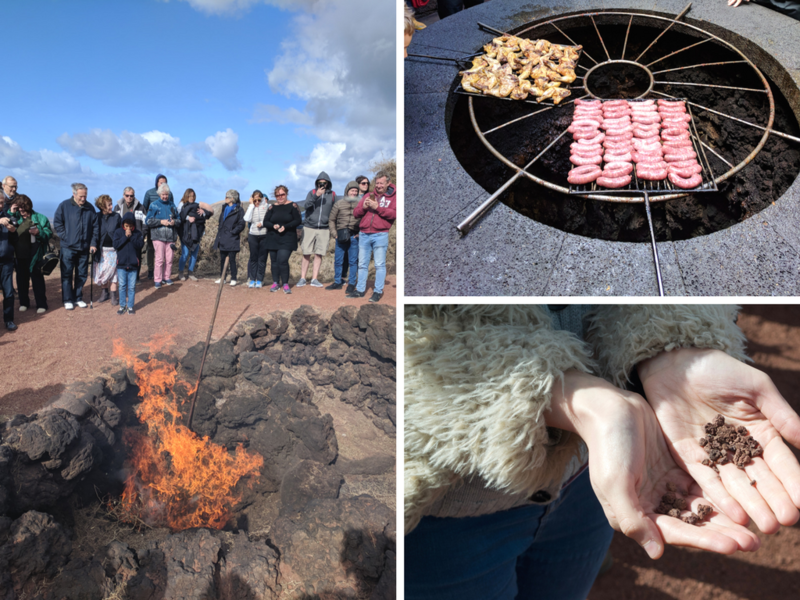 No visit to Timanfaya National Park is complete without witnessing the volcanic demonstrations for yourself though. From chucking some hay into a hole in the ground and watching it immediately go up in flames, to handing around scorching-hot sand that’s just a few centimetres below the earth’s surface, these demonstrations just go to show how alive the island is. In fact, temperatures just a few metres below where you’re standing can reach up to 600°C! The on-site restaurant even uses the heat from the ground to cook meat over a giant barbecue. After a long day of jumping on and off the coach, we were keen to put our feet up by the time we got back to the hotel. Once we’d had a shower and spruced up a little, our first port of call was the small street market that’s held every Friday evening between 5pm and 10pm. 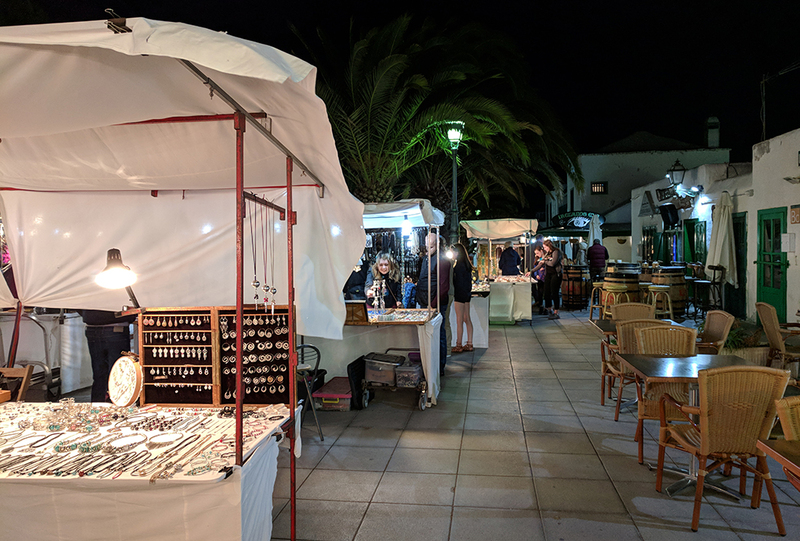 It can be found at the heart of Costa Teguise in Pueblo Marinero, with souvenirs and handmade crafts all available to buy. I didn’t buy anything, which was a real first, but it was just nice to be able to soak up the local atmosphere while browsing. The food itself was exceptional, even though the vegetarian options were a little, uh, thin on the ground. For my starter I had the tomato, spinach and pesto ravioli (I had to pick off the shrimps and give them to Ian). And for one night only I had to say goodbye to my vegetarian principles when it came to the main meal – I tucked into a tuna steak with a side of peppers and potatoes. Ian had a lamb steak, which he said was easily one of the best meals he’d ever had! 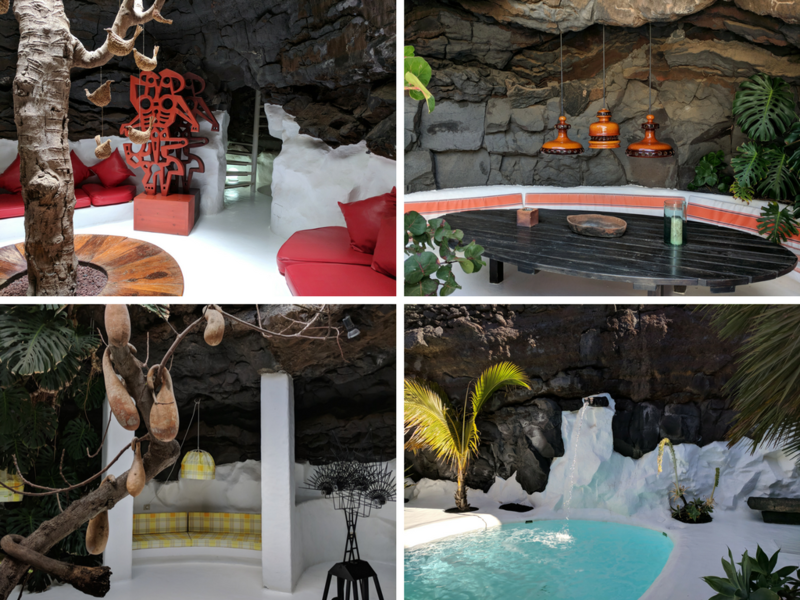 After another sterling breakfast, we decided to get a little more independent with our trips and get a cab over to the César Manrique Foundation (entry €8 euros per person). 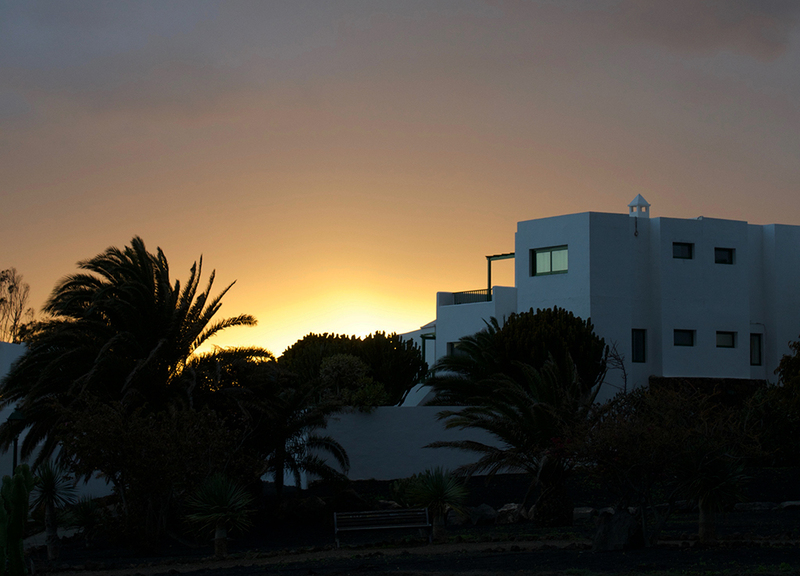 Designed and built by the local artist/architect Manrique during the late 1960s, the house is built into the volcanic landscape. It’s the perfect marriage of architecture and nature, turning volcanic bubbles into rooms and tunnels. From here, we jumped in a cab over to Arrecife to have a wander. We somehow timed it just right, arriving just as a festival was getting into full swing. 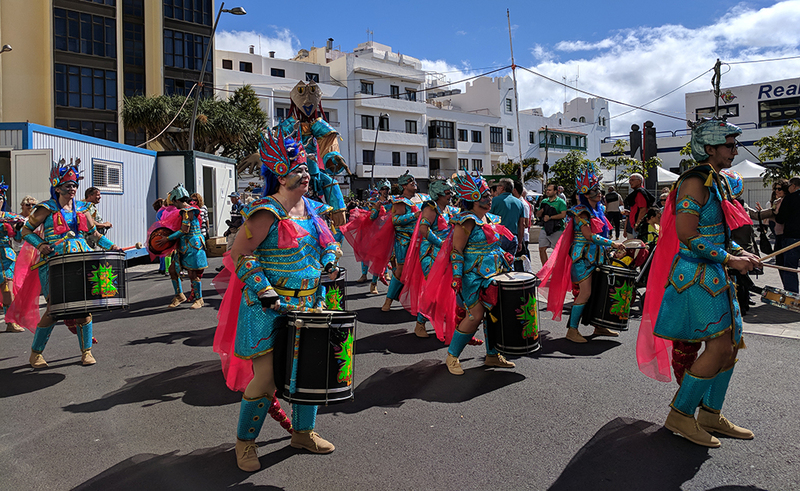 We hadn’t realised that it was going on, but a quick Google told us that the huge parade, tapas fair and live music was all part of Carnaval Arrecife 2018, a 12-day long event which takes place every year. Also, everything at the food stalls – from the pizza to the sangria – was just €1 each. Winning. 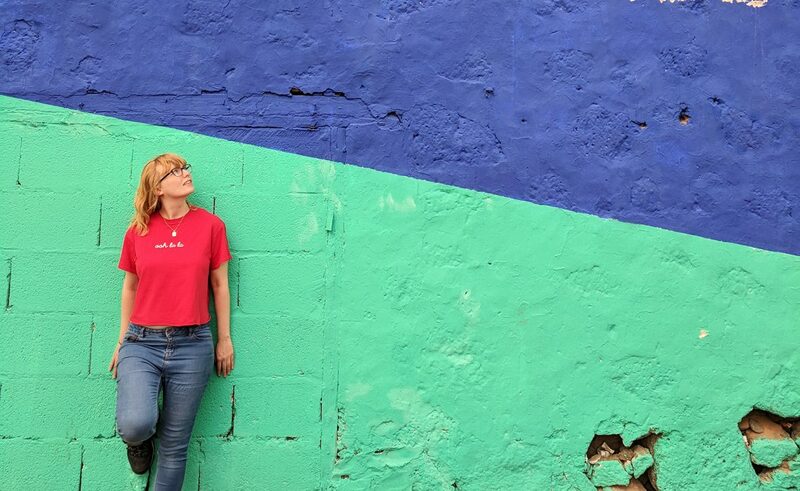 Once the carnival had rolled on by, we decided to go exploring, walking along the quieter backstreets until we got to El Charco de San Gines, an area that’s come to be known as the ‘Venice of the Atlantic’. It’s a lagoon of natural seawater that’s surrounded by picturesque white fishermen’s cottages, as well as cafes and all the blue/white colours you could ever ask for. Another top tip for Arrecife? The Gran Hotel & Spa, the only skyscraper on the entire island! 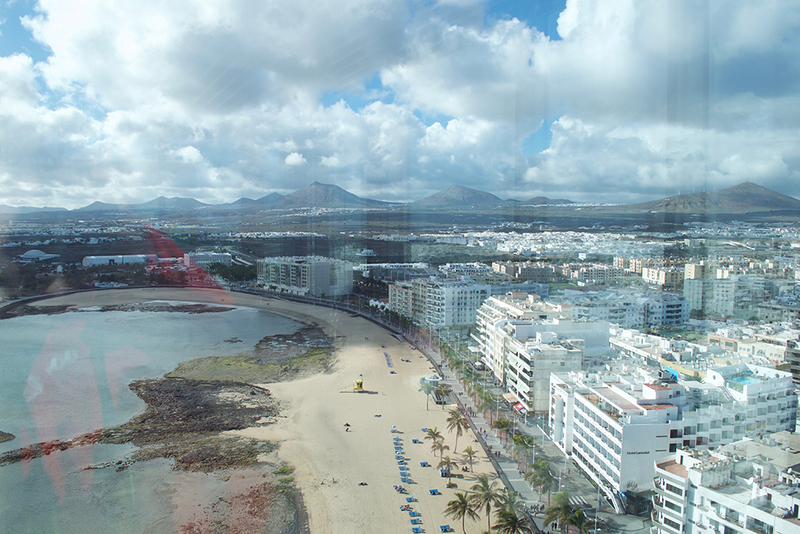 The restaurant on the top floor is the best place to get views out across the beach and Arrecife itself. Sadly, I can’t tell you what the food was like as no one took our order for the half hour we were there. Big sad face. 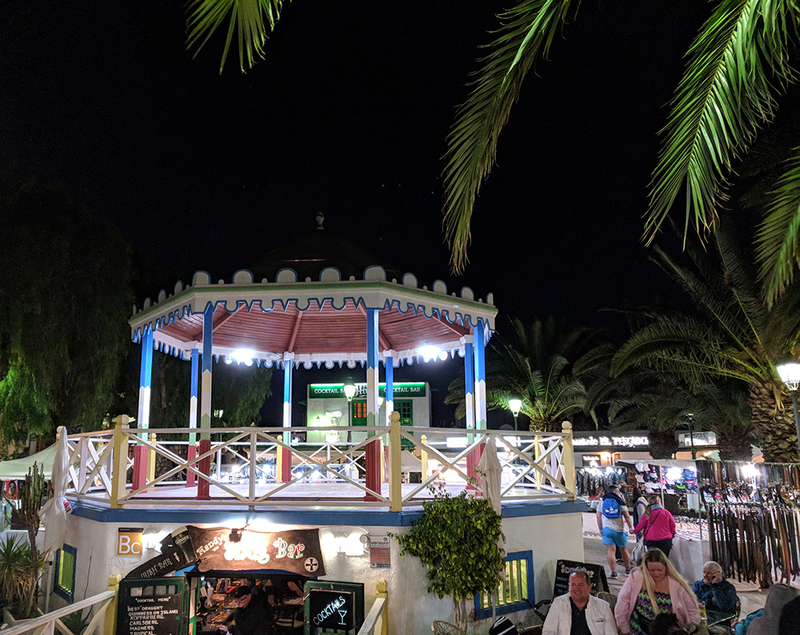 A quick cab journey took us back to Costa Teguise, where we had just enough time for a final beach wander, grabbing some ice cream from Antiu Xixona Hellos (hello Oreo cheesecake flavour, where you been all my life?) on our way. Our Jet2 transfer coach picked us up at 5:10pm, dropping us off at the airport in plenty of time for our return flight back to Stansted! 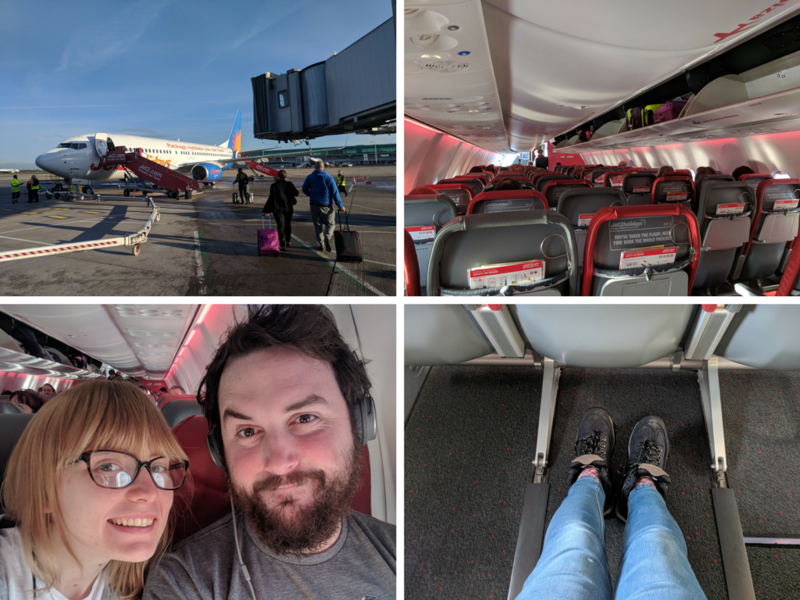 While on the surface an all-inclusive trip with Jet2 Holidays sounded a little different to my usual trips, in actuality it was exactly the same – just with the most stressful bit of any holiday (organising the hotel/airport transfers) all sorted for us. 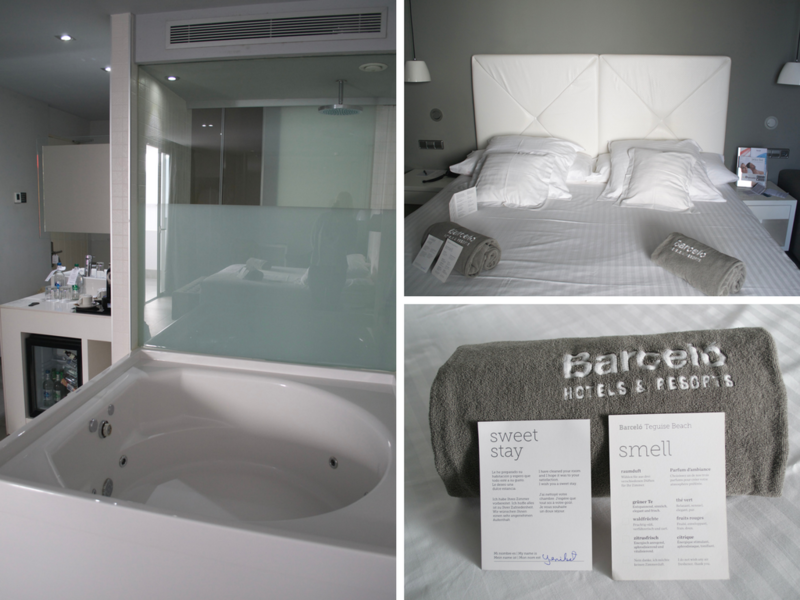 It was so easy and super chilled, I wouldn’t hesitate recommending it for anyone who’s after a stress-free trip. And after a stress-free flight on the way out, I’m definitely going to be using Jet2 again! 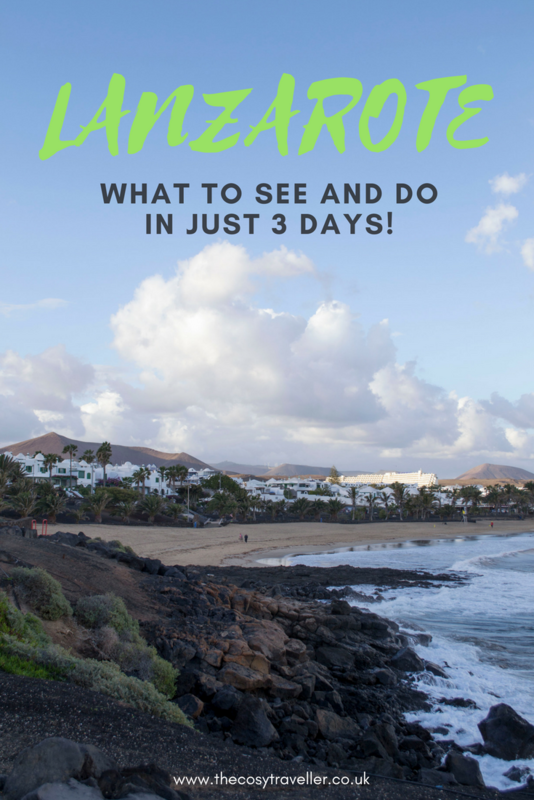 72 hours in Lanzarote will never be enough, but I hope this post has given you an idea of just how much there is to see and do on this incredible island! 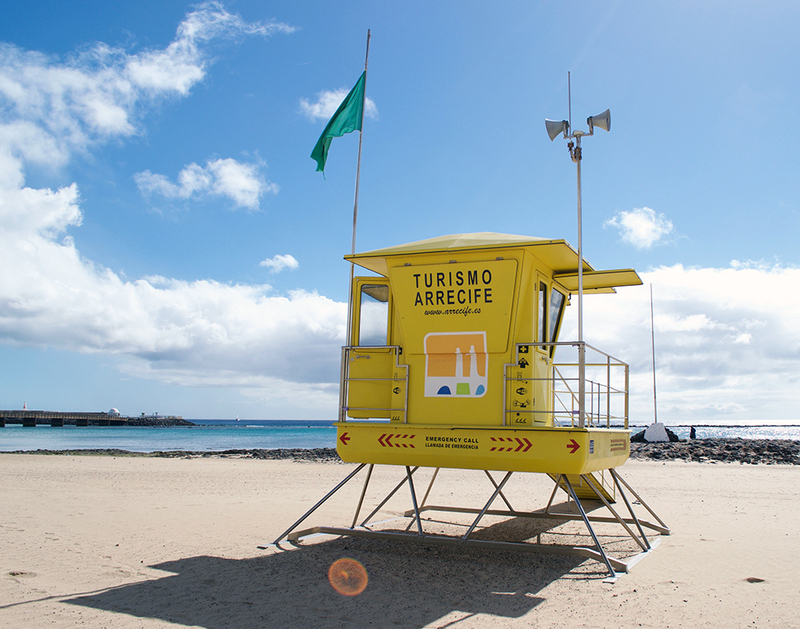 If you have any specific questions about Lanzarote or Jet2, let me know in the comments – I’ll be more than happy to help! Many thanks to the team at Jet2 Holidays for inviting me on this trip to Lanzarote! All thoughts and opinions are, as always, all my own.